Titan Fabricators is a versatile custom steel fabrication company that has been serving the heavy industrial and mechanical construction industry for nearly 30 years. We take pride in an outstanding record of on-time deliveries, a commitment to safety and always furnishing the highest quality product, at a competitive price. Our machining capabilities and high performance management practices keep your projects in-house and under control from start to finish. 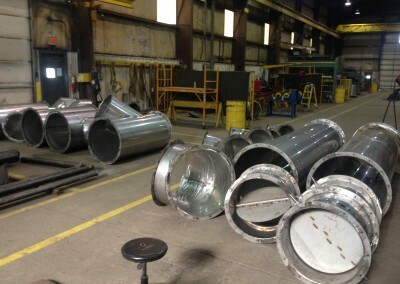 We have extensive experience in piping, pressure piping, boilers, ASME code vessels, storage tanks and silos, air quality control systems and water treatment plants. 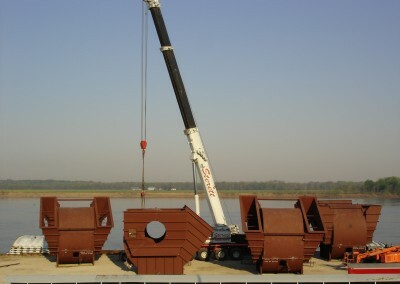 With stress relieving equipment, Titan Fabricators is adept and experienced at handling an array of industry needs, including the most complex and challenging projects. 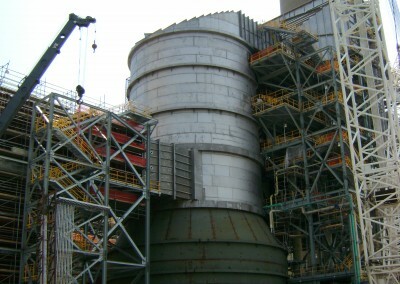 Whether it’s fabricating HRSG units or fabricating those replacement units years later, Titan Fabricators delivers work with integrity that you can be proud of. At Titan Fabricators, we know there is no compromise between safety and quality. We pride ourselves on being able to deliver high-quality projects through the safest practices, while still meeting work deadlines. Titan Fabricators has an industry-leading OSHA safety record and a comprehensive training institution. We utilize a well-trained quality control department that employs extensive testing and inspection methods to ensure that each project is completed in accordance with all client, industry and code standards and requirements. Titan Fabricators is committed to the continual improvement of craft employee’s knowledge and skill level through rigorous and regular training. We currently employ 2 AWS CWI’s (Certified Welding Inspectors)and one NACE CIP LI coatings inspector. Babcock & Wilcox awarded Titan Fabricators for its excellent performance in quality, delivery and service. Titan Fabricators is recognized for producing high-caliber projects for the heavy industrial and mechanical construction industries.